OK after a fait accompli I have decided to reboot all my project threads into one post as all previous images can no longer be viewed. 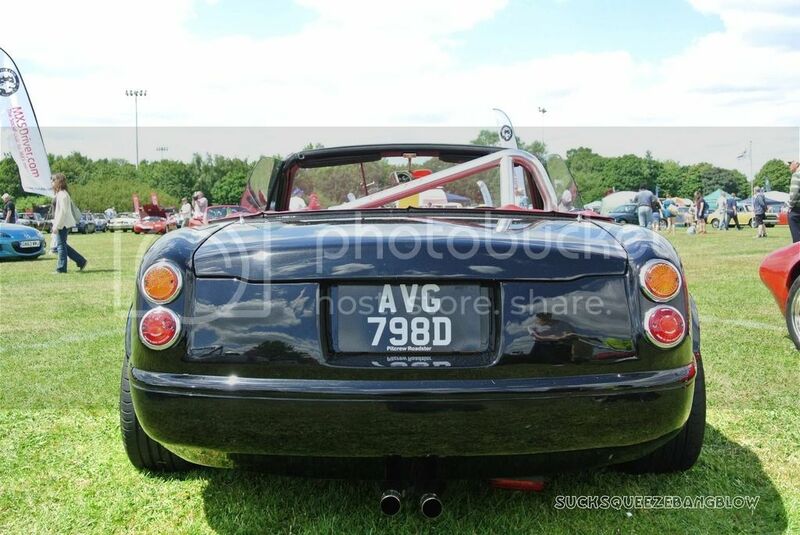 As some of you know I have been into MX5s for a long time. 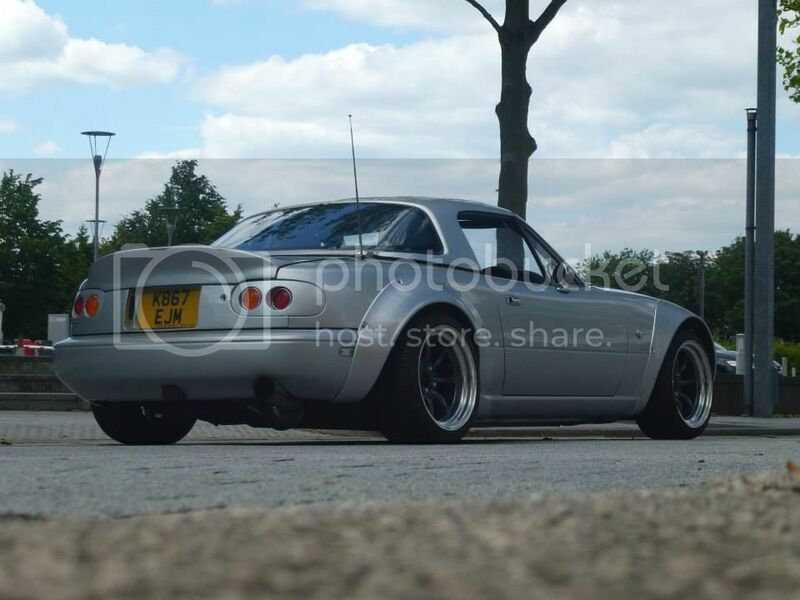 My interest started in the late 1990s as a teenager working part time driving back fresh imported Japanese second hand cars from Japan that had arrived Southampton docks, etc being sold in the UK when at the time there was a boom in 'JDM' car imports. 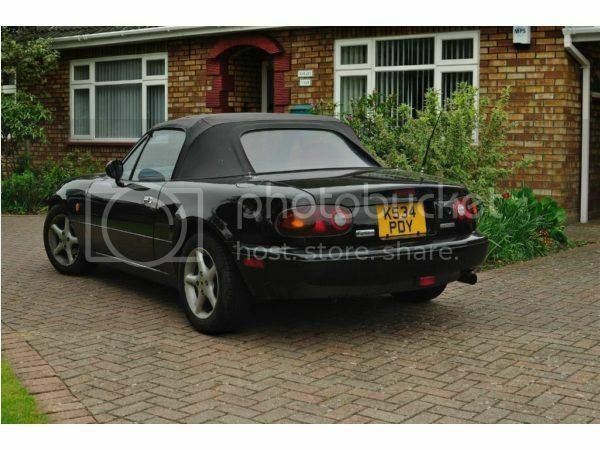 I had always liked the look of the MK1 MX5 but until that point had not driven one. 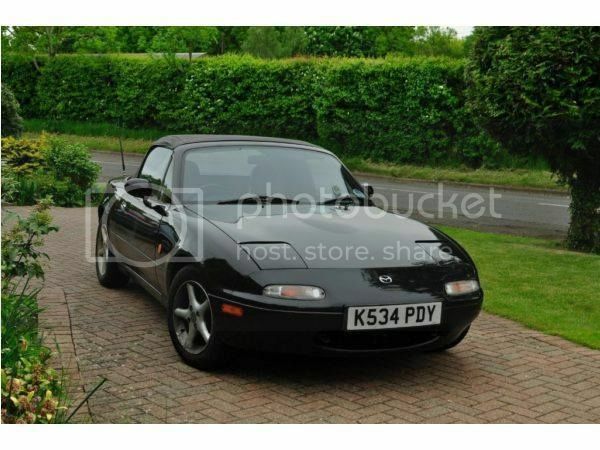 I instantly enjoyed the driving experience and was soon bringing in my first MX5 from Japan, a 1990 red MK1 1.6. 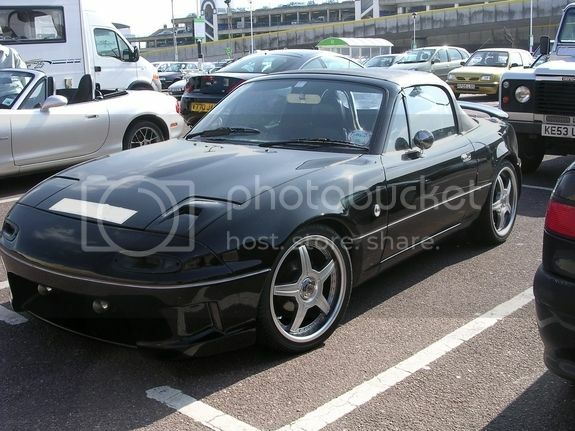 Since then I have had well over 50 (lost count of exact number) and right now own 5 MK1 roadsters. Some examples of previous cars I have owned from around 2006. Everything before I never kept any photos of. 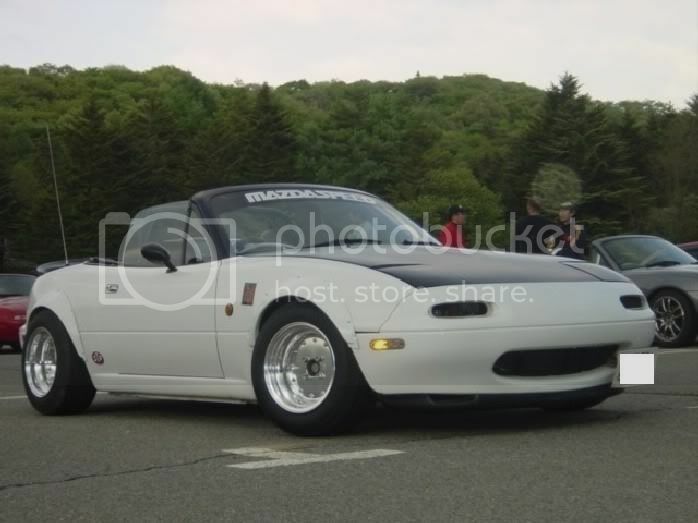 This was another Greddy Turbo MX5 I owned. It had some unusual parts from Brightning, Zoom Engineering, KG Works, Runabout, etc. I pretty much built this car from scratch and sold to fund the silver car I still own today. 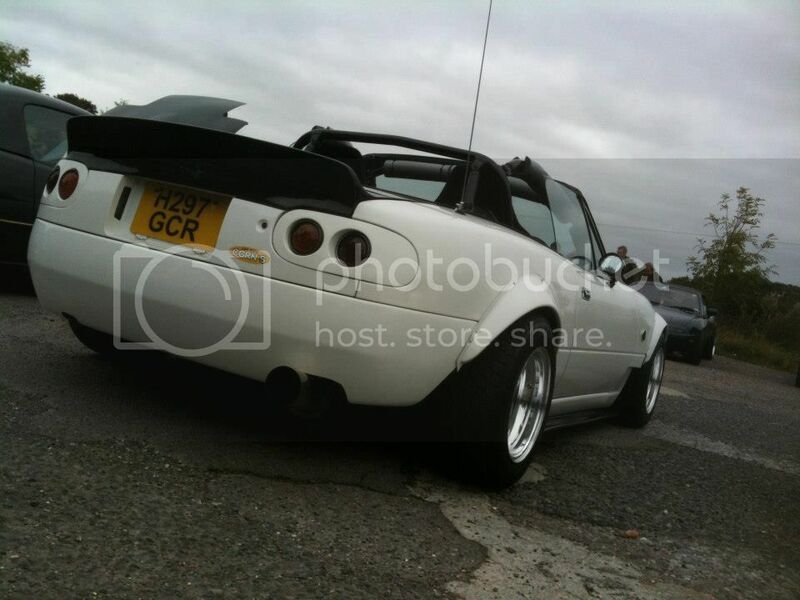 This car got sold to a member of MX5Nutz but not sure where it is now. My first pitcrew! This started life when I bought it purple and used to be owned by a TV presenter here in the UK a few years before I got it. I sprayed it BMW Mini pepper white, fitted the shortly bumper, SSR wheels (pretty much everything). Really used to like this car but sold it on impulse. A few years after selling my white pitcrew I ended up with another one imported a few years earlier but with the full kit from Japan. I added parts like the SSR wheels, Nakamae seats, 'KFC' interior, etc. 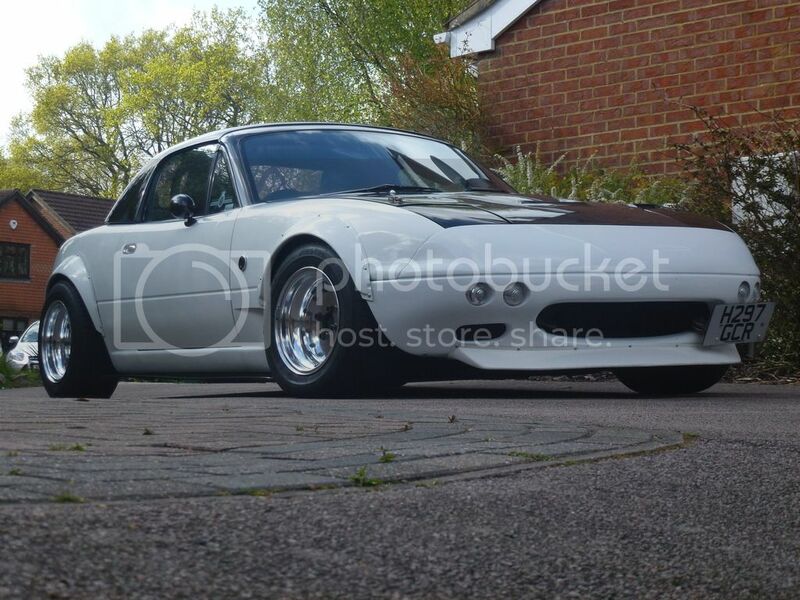 Only sold this car as at the time got smitten by high powered FD RX7s (big mistake) and it went to live in France where the same owner/enthusiast still owns it today. Along the way I have also had a soft spot to join the 'OC' and have owned a few nice rare limited edition models including MK1 RS Limited, VR Limiteds but for me my favourite has always been the R Limited of which I have owned 9. This is one of my favourites of previous R Limiteds owned. The next car was an interesting one. 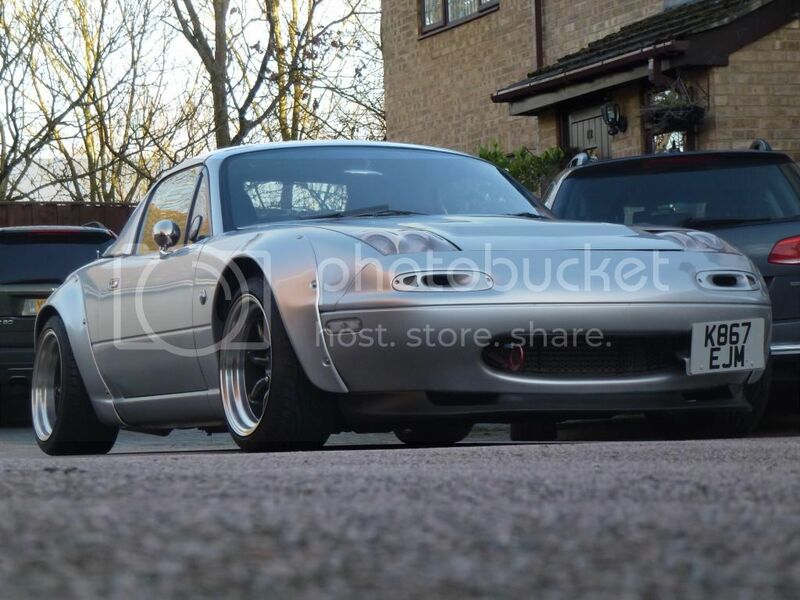 Built in Japan and imported to the UK in 2006 it featured a fully forged engine with Toda/Mazdaspeed parts built by Tomei Racing mated with a supercharger kit and Freedom ecu. 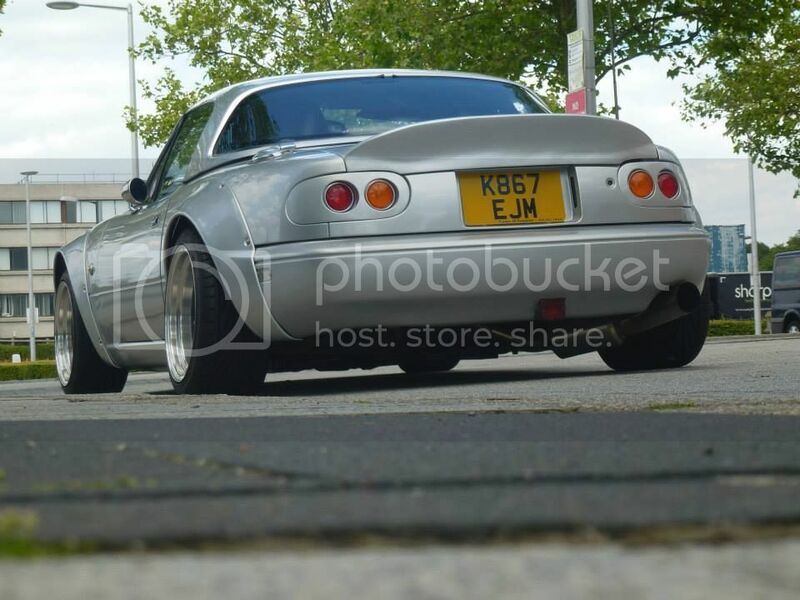 Of all the MX5s I have driven short of the power of my FM2 Turbo car it felt the nicest power delivery from a MX5 Engine. 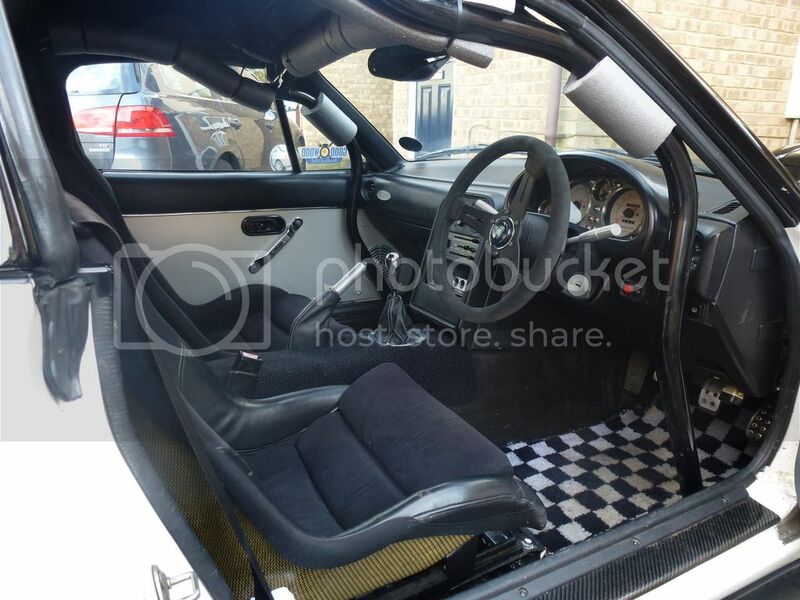 It also came with a host of other rare JDM parts and was owned by a Mclaren F1 engineer so was properly set up. I a moment of 'Man maths' I sold this one to a mate and then bought back the engine, supercharger and ecu which is now in my corns roadster. Like the Pitcrew kit this is a face only a mother could love. 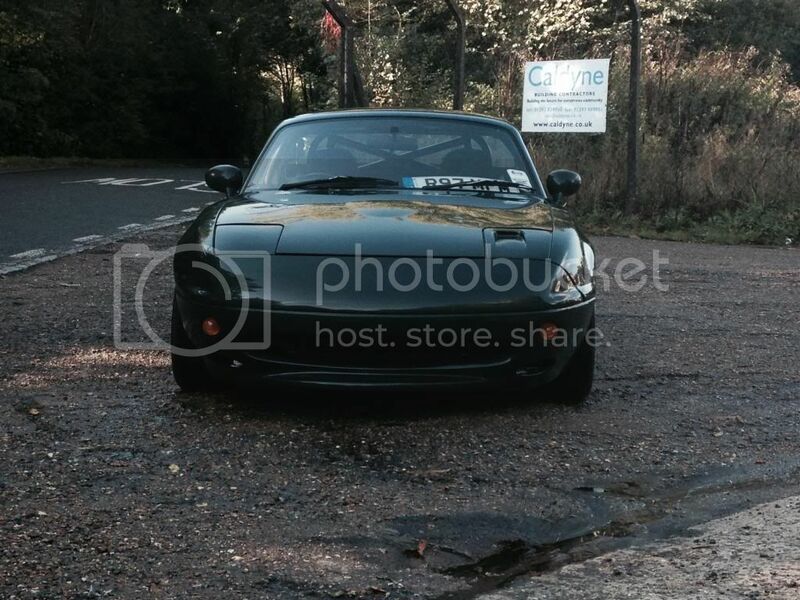 A Racing Beat front bumper mate with Mitsubishi FTO front lights. On the subject of 'Man maths' this is one of my favourite. I imported a Pitcrew roadster from Japan auctions a couple of years ago for the front bumpers and the Pitcrew wiper for my own black pitcrew roadster. Lovely car and now owned by another UK enthusiast. 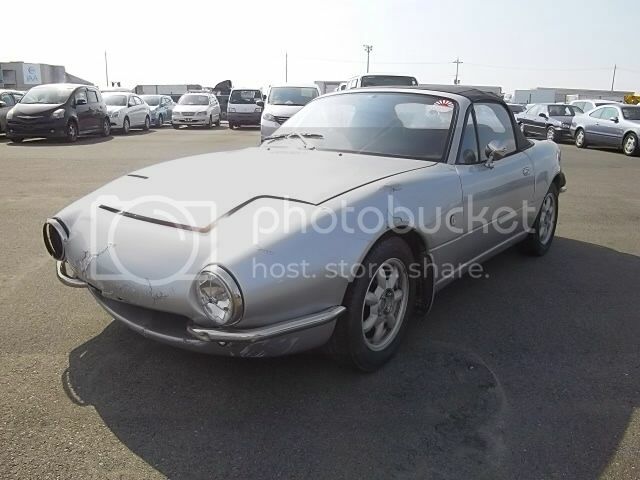 Another interesting roadster I bought unseen. Main reason for doing so is it had a S2 Racing front bumper and some other interesting parts and was a late import from Japan. Only sold to fund the black pitcrew roadster. So lots of MX5s I have owned missed of but that gives an idea of some of the mx5s I have had. The existing cars in the garage. 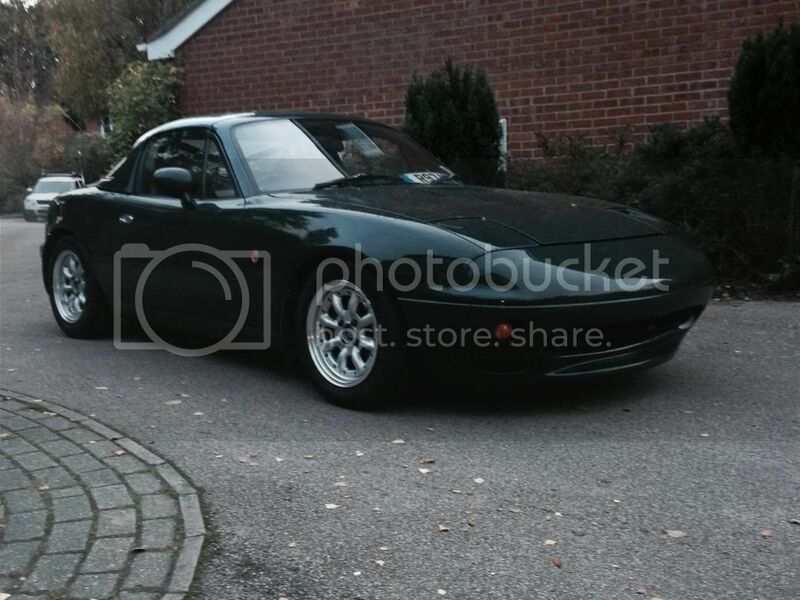 MK1 MX5 Eunos Roadster with Tuckin99 N2 Kit, FM2 Turbo kit, Custom order RS Watanabes. I have owned this car since 2007. 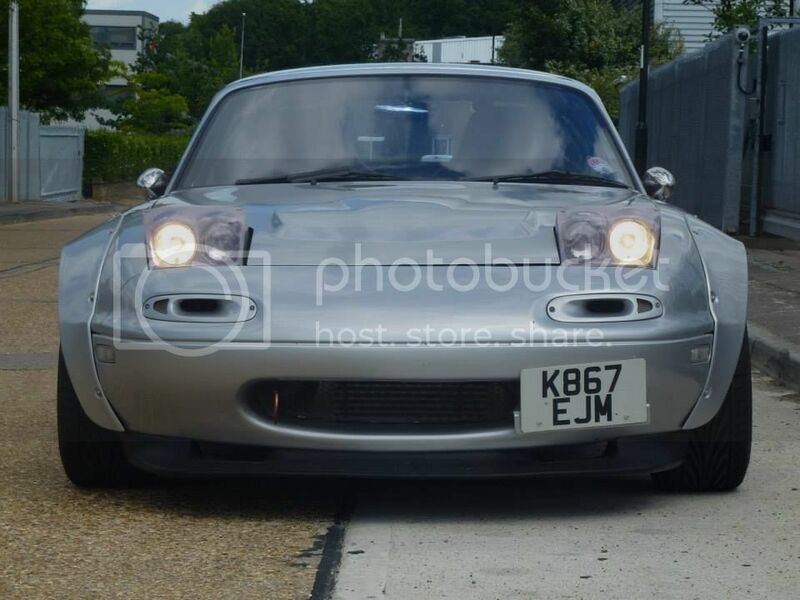 I bought this car for the arches and wheels and the 'JDM master' a chap called Michael sold them to the previous owner of the silver car before I could raise the funds to buy them and fit to my white turbo roadster. 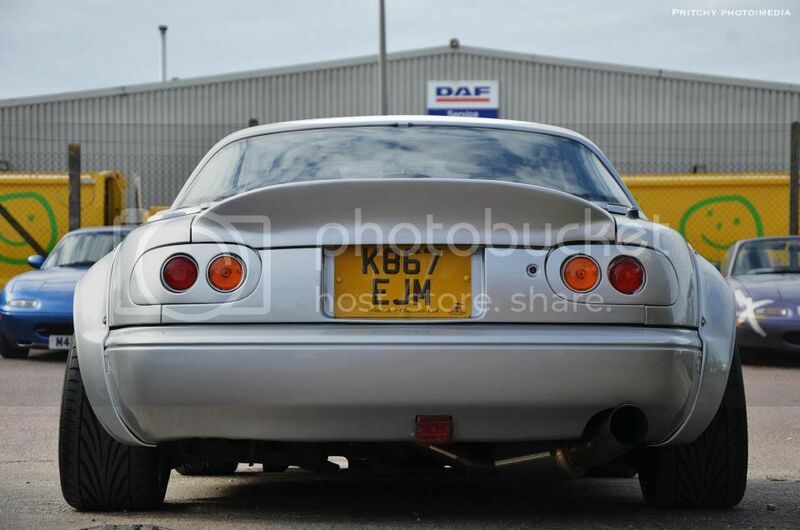 6 months later the silver car came up for sale with the wheels and arches fitted and I was then in a position to get them! In my years of ownership the FM2 turbo kit was fitted, the M2 1001 roll bar, Recaro leather bucket seats, JDM interior from Nakamae and Zoom Engineering, the super rare Bodyshop Hayashi lights, etc. Bought this car originally in 2009, sold it in 2011 and bought back in 2012. 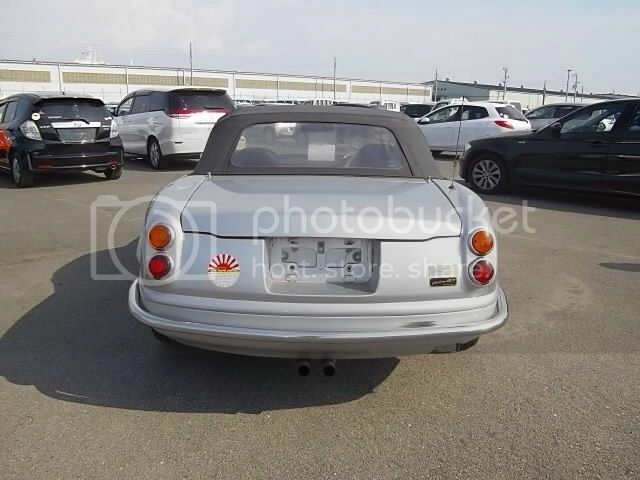 This car had a couple of owners before me in the UK as was imported early 2008 from Japan. 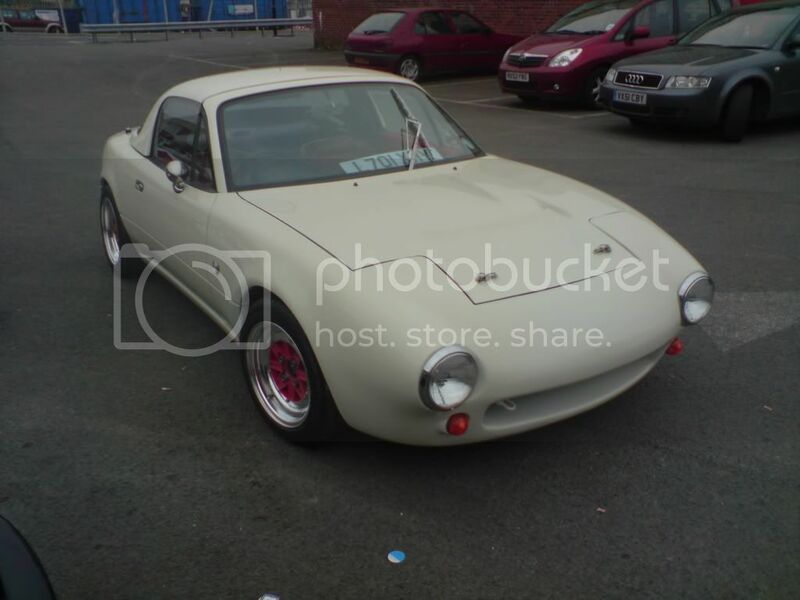 It gained the nickname the 'Corns Roadster' as the car came to the country with weber 45 carbs fitted, jubiride arches, ssr MK1 alloys and the full saito cage and is believed to have been worked on my Car Make Corns along the way. When I got it the car had seen better days as the gearbox was shagged, diff fducked, lots of faded paint and other issues. 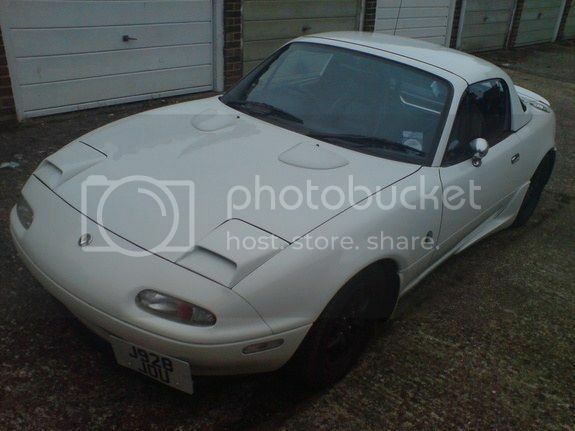 The car had no doubt had seen track use in Japan and in fairness any other mx5 enthusiast who has been it would admit this car would be most at home tearing around a race circuit. 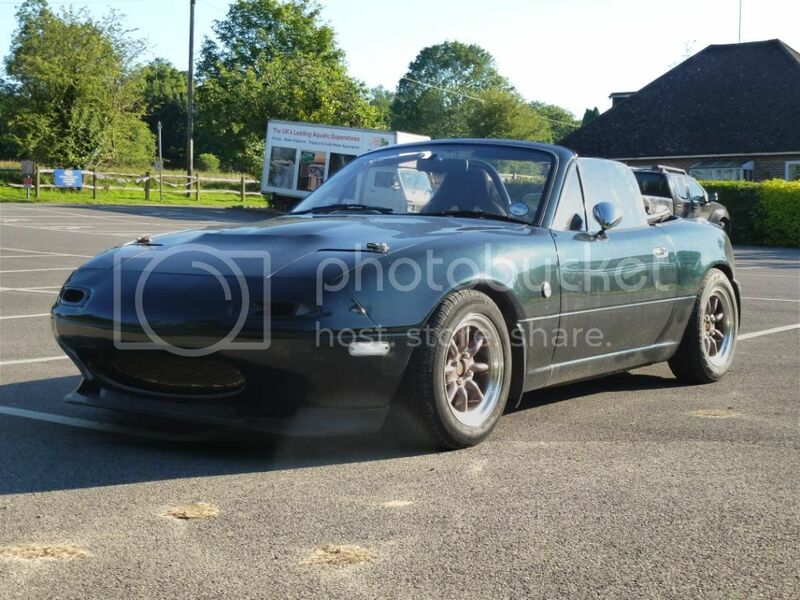 First time of ownership I sorted most of the issues and when I bought it back in 2012 replaced the worn carbs with the forged engine from the fto car mentioned above. It still snarls and barks like it did with the carbs but now has a fair bit of get up and go too! Link to facebook for more photos. One of the photos I have from when the car was in Japan. 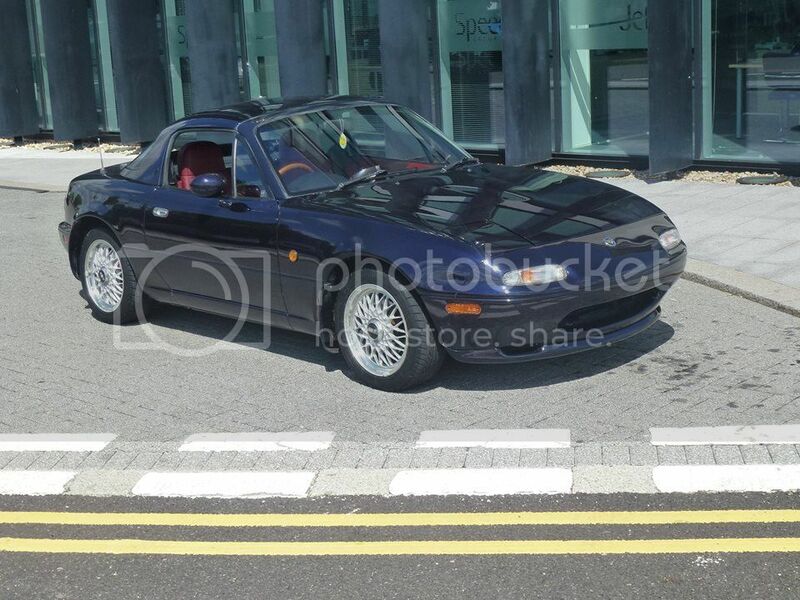 After owning a few Pitcrew Racing roadsters I ended up taking a standard 1993 Eunos Roadster S Limited that whilst not a rot box was neglected and had seen better days to the black Pitcrew Roadster I now own. It has changed along the way from the initial plan but now has a full pitcrew racing kit mate with wide arches, SSR MK3 wheels, IRTB's and full interior from Nakamae and Zoom Engineering. Some more photos on facebook. 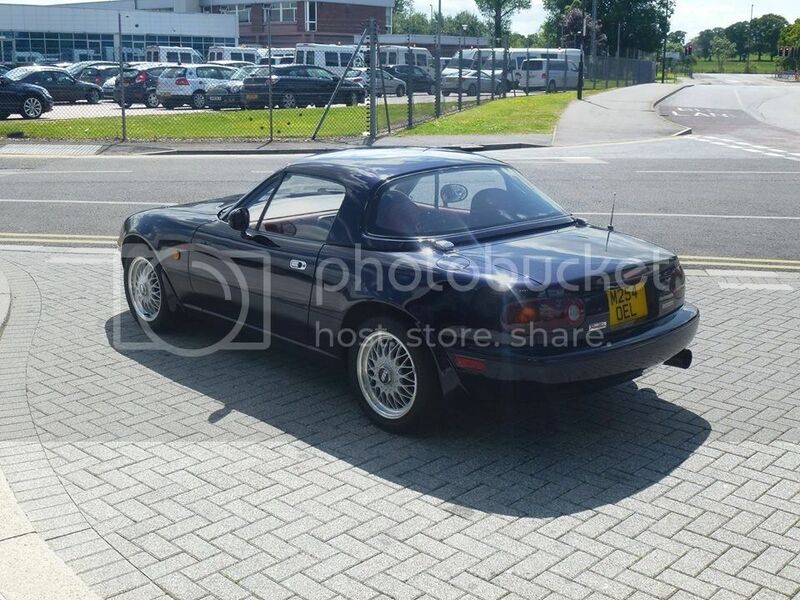 As mentioned already although I like modified MX5s I also like some of the decent limited edition models from Japan as my gut feel is these are the proper limited edition models as came with choice upgrades mechanically too. Of those not too difficult to get hold of the R Limited is my favourite model as it has the same running gear and lightweight wheels as the MK1 RS Limited but I like the red interior with the Mica satellite blue paintwork. The one I have now is a late 2006 import and I am the second owner. 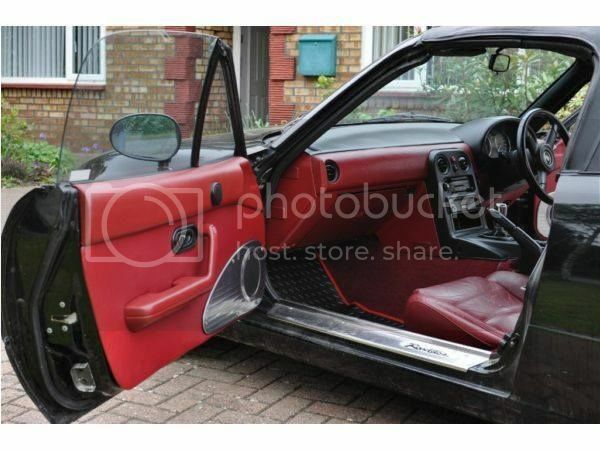 In my short period of ownership I have sorted the minor rust to the rear sills, fitted newly trimmed leather seats, a better condition R Limited dashboard and door cards plus had the whole car resprayed. 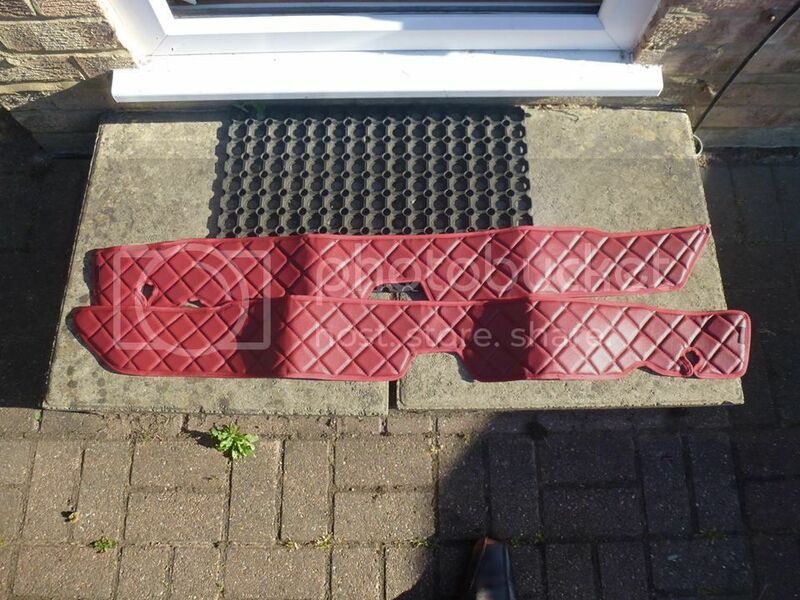 It has all the original R Limited parts and apart from the rear sills starting to the rest of the car/underside was very clean hence why I decided to restore this example. It wasn't bad beforehand as can be seen. 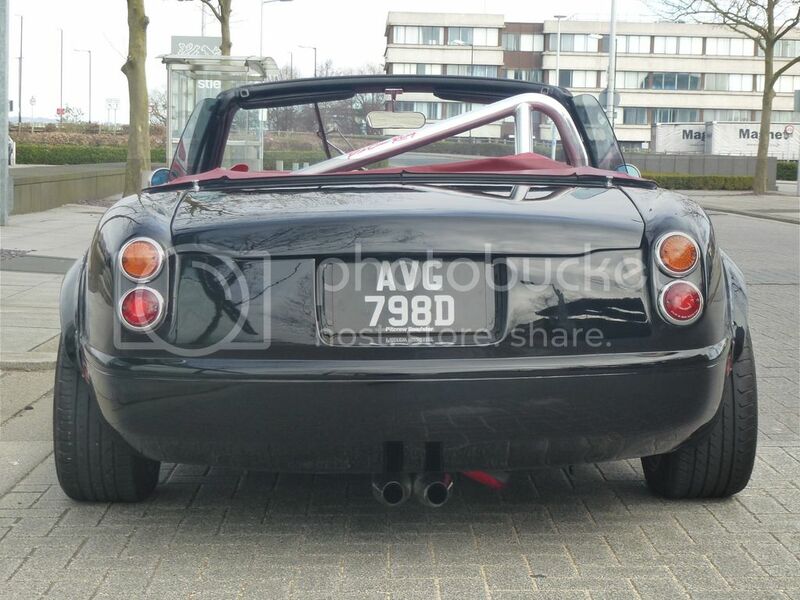 1990 Eunos Roadster standard model. 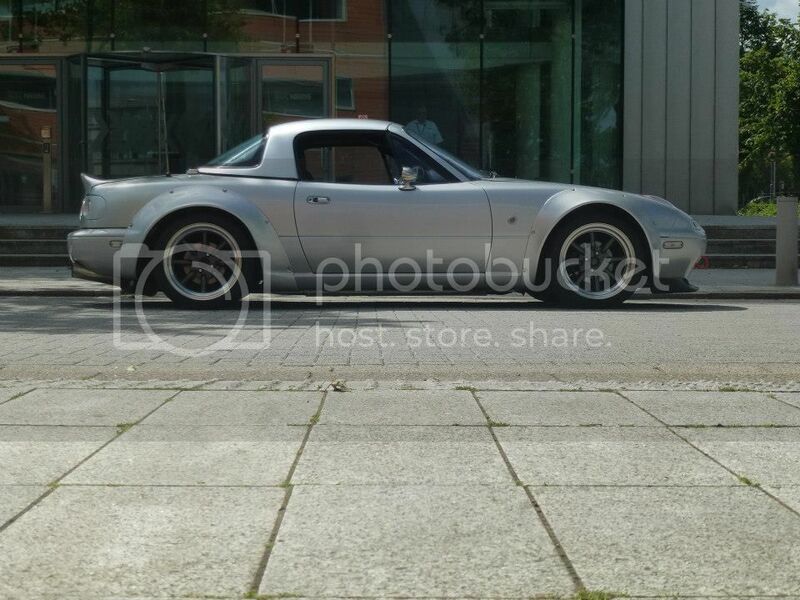 My last purchase roadster wise is this 1990 MK1 model. 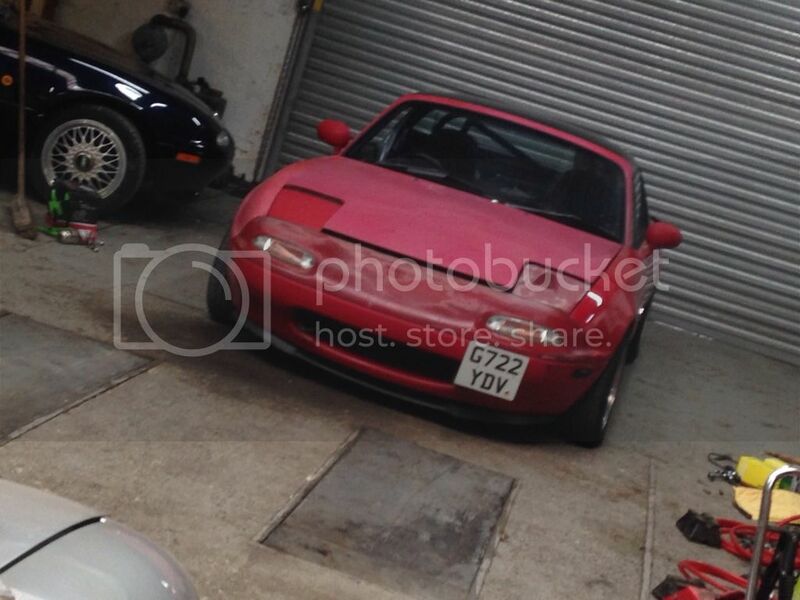 I had known of this car from MX5nutz from years ago and saw it for sale in Newquay, Cornwall May 2015 as spares/repairs as was a non runner having been parked up for 2 years as wouldn't start. A Saturday afternoon impulse purchase was made and plans made to get the 600 mile round trip to get it transported home. 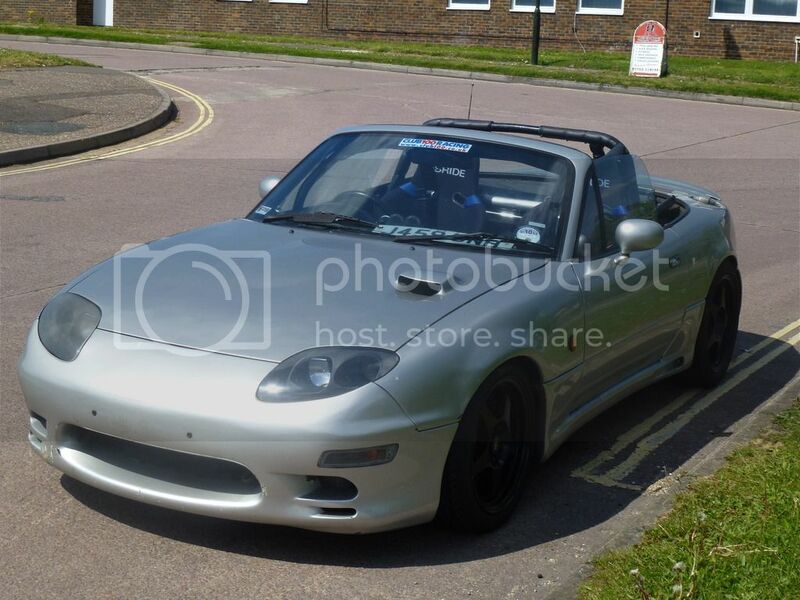 Main reason for buying was it had 4x100 Hayashi Racing alloys which turned out to be 13x7 et10, a nice JASMA exhaust manifold (make to be found out), TR Lane roll bar, JDM centre exit exhaust (not sure of make) plus sat nicely on some Potenza shocks and lowering springs. Luckily for me when it arrived it turned out better then expected as is very low miles for year and a 2009 import so very solid car with no rust. It is the Pink Panther as the red paint has faded. However it is in the midst of being tidied up so now is up and running again (was an electrical issue), MOT'd (only needed new pads/discs and wipers) so can be driven on the roads once taxed. At the moment the car all looks a bit sorry for itself but seeing how solid the shell is, the low miles and how nice it sounded once the electrical issue was sorted I am keen to restore this car back to a higher standard. Last edited by Madaboutmx5s; 11-08-2015 at 12:36 PM. 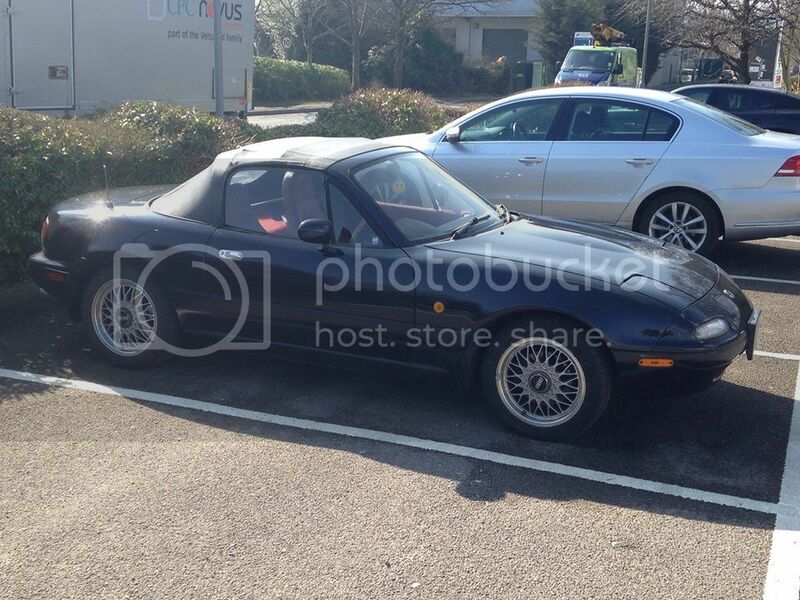 You truly are mad about mx5's! so many goodness!! My nickname is rather fitting! First update on the red roadster completed. Wheels taken off, new tyres fitted as the old tyres were full of cracks so it is on black steelies at the moment which are road legal and helped it get a MOT. 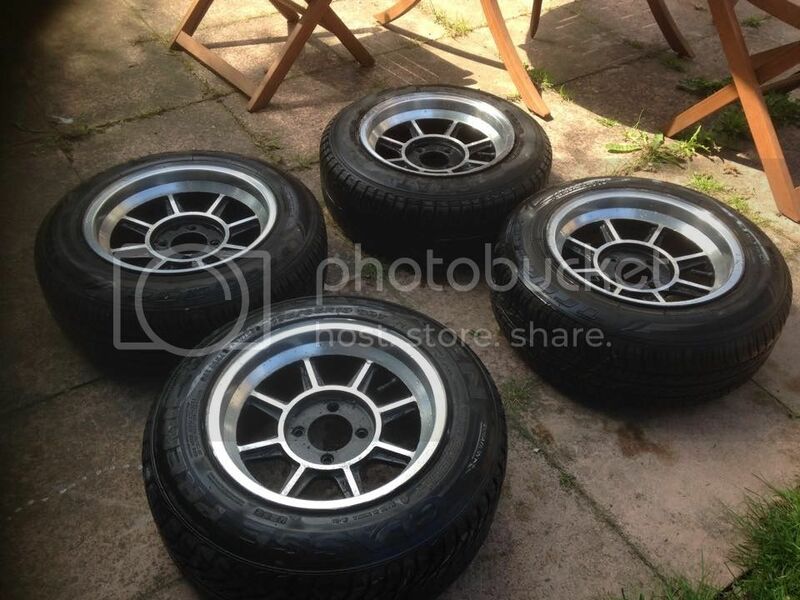 The Hayashi street wheels have now also been fully polished up so the alloy is now longer dull/corroded like it had been from being left for a couple of years. Last edited by Madaboutmx5s; 11-08-2015 at 12:37 PM. 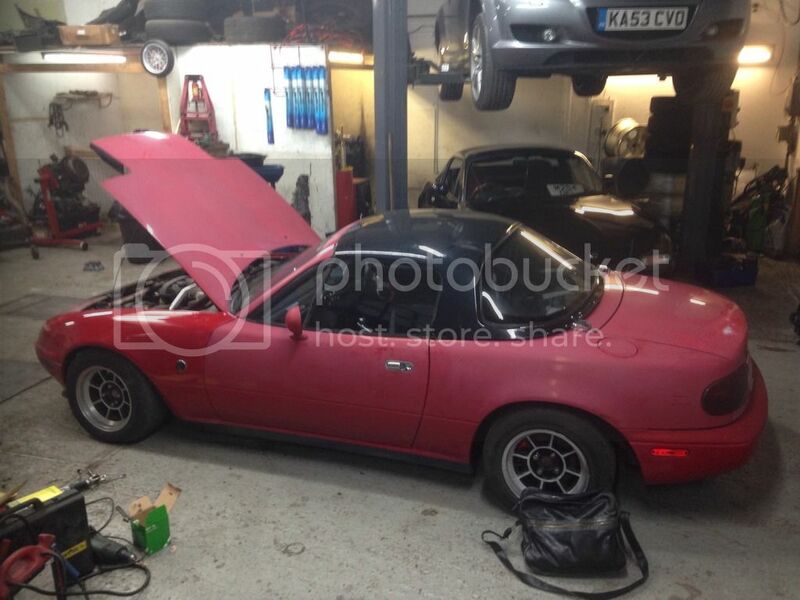 Went to MX5Restorer today who are well known mx5 specialists here in the UK. Garath and Chris the owners both have nice roadsters. 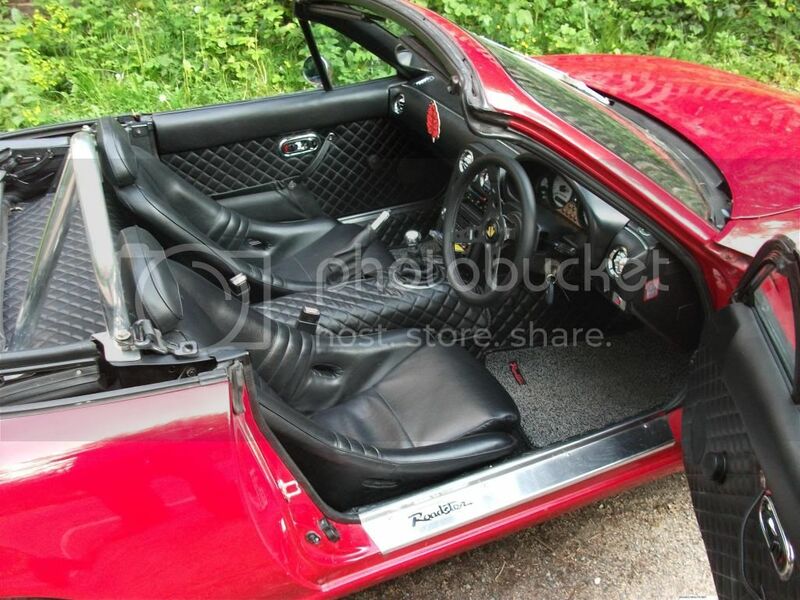 I went there today to have P5 frame rails fitted like what I have on the silver roadster and white roadster. The black roadster had some dented chassis rails from where it had been lifted incorrectly when jacking the car at some point in its life. A fair bit of bashing/reshaping and the framil rails were fitted. It was wet on the drive home but like on the other 2 roadsters it helps stiffen the car up, reduce skuttle shake and likewise has tidied up a poor area of the car. man those wheels, ugh, so nice!! Thanks guys. 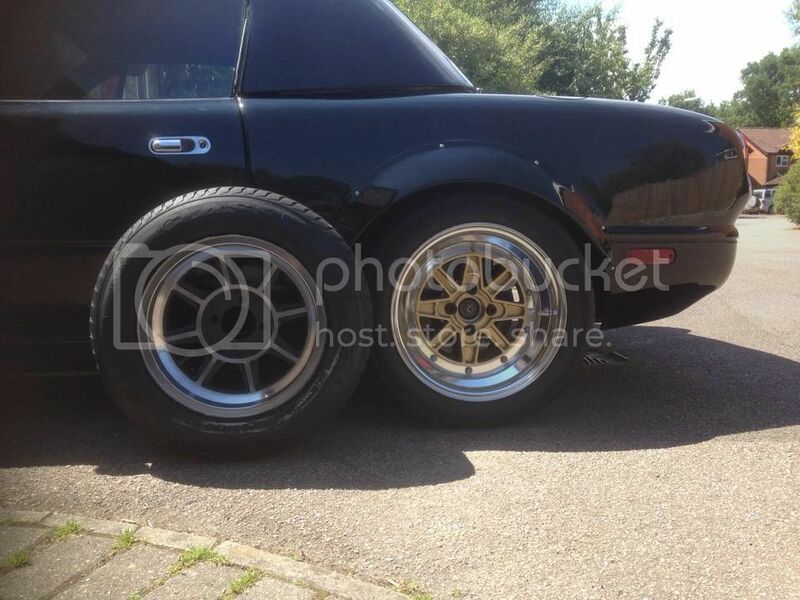 Here in the UK I've never I've never seen another set of 4x100 Hayashi Street wheels on a mx5. 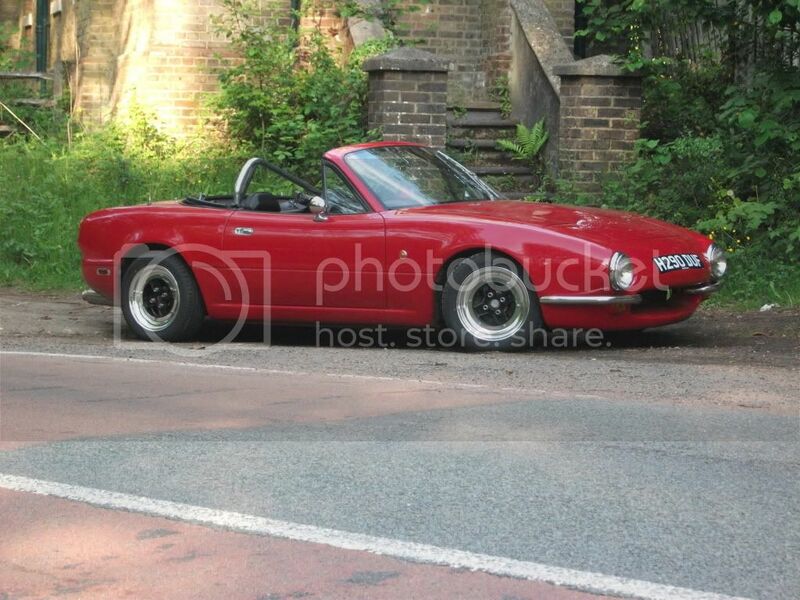 I bought the red car as a spares/repair that on the worse case I'd end up with a nice set of wheels. However whilst the car looks sad right now body wise its good and low mileage for year hence I've got it back on the road, getting new discs and pads fitted, etc. I love me some Pit Crew. ^^^Agreed! 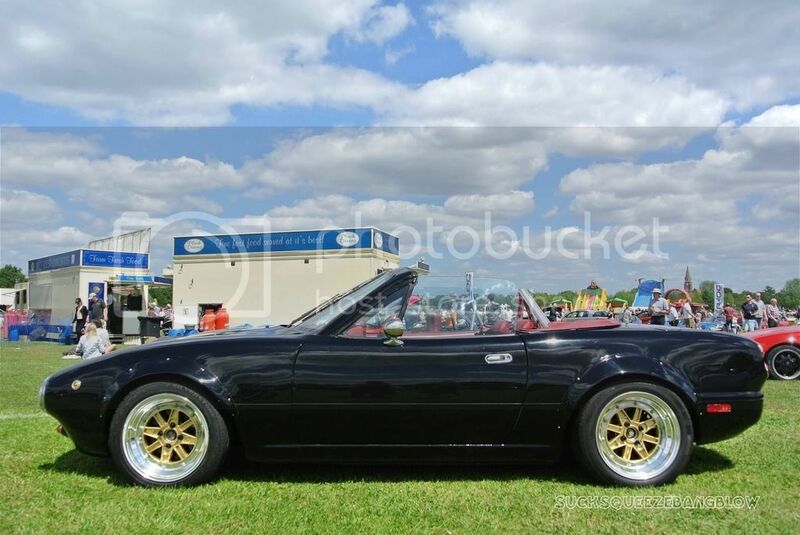 James, your '93 Limited S is easily one of the most beautiful roadster's i have ever seen!! All three of your current roadsters are beautiful and its awesome you have one of each induction type..now you just need a v8 swapped miata to complete the set. Cheers. 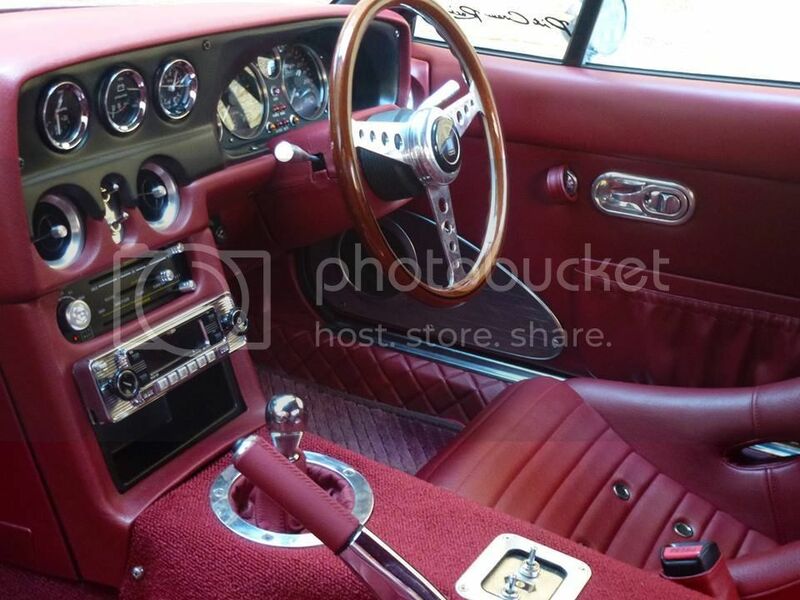 I would like a V8 roadster at some point. I have seen and heard one in person and the noise and power delivery did seem very impressive. 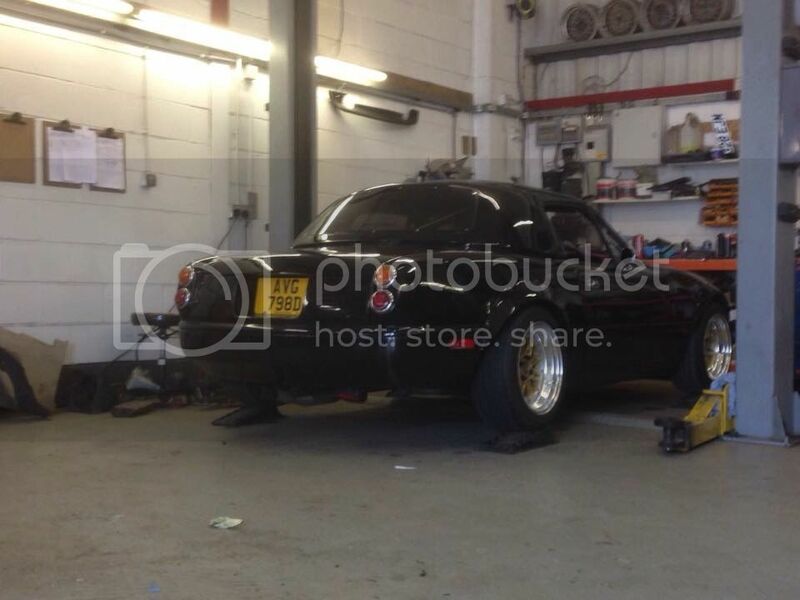 Some new photos of the black roadster. I am waiting on some minor parts for this and some parts to complete the silver car from Japan at the moment. Last edited by Madaboutmx5s; 11-08-2015 at 12:38 PM. Likewise what would the Hayashi Streets look like against the Pitcrew?? Last edited by Madaboutmx5s; 11-08-2015 at 01:38 PM. Silver roadster and Black roadster both had some updates. Silver car got a good clean over the weekend and drive out. Next up some new parts arrived from Japan. 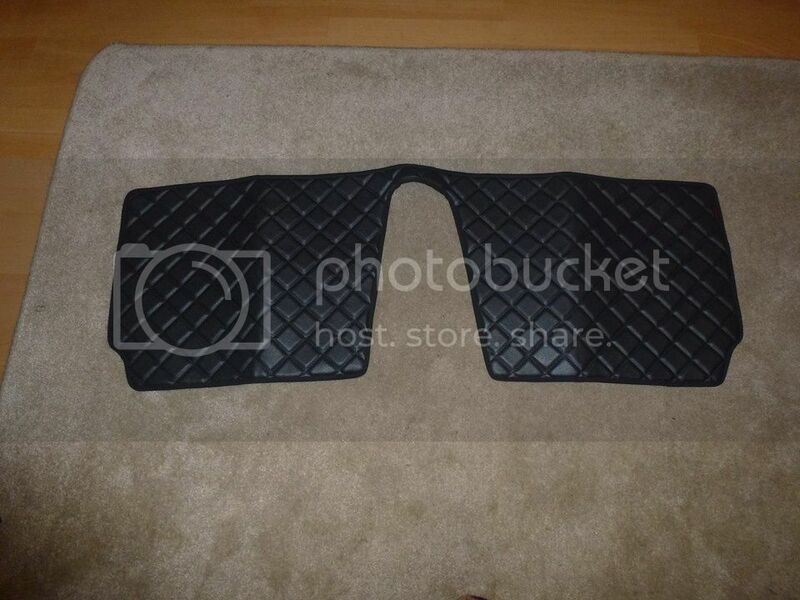 First up a Nakamae quilted lower package tray trim in black for my silver roadster. 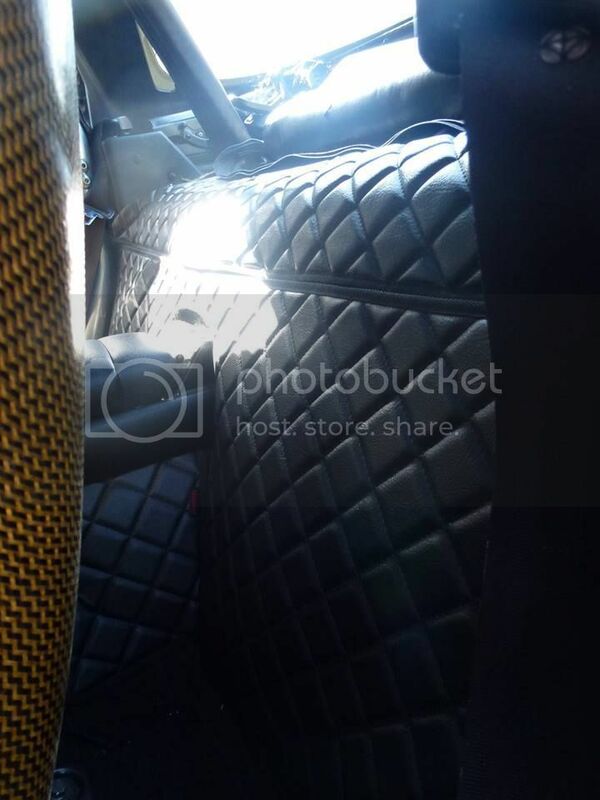 This pretty much is the final part to having a complete Nakamae quilted interior in the silver car. 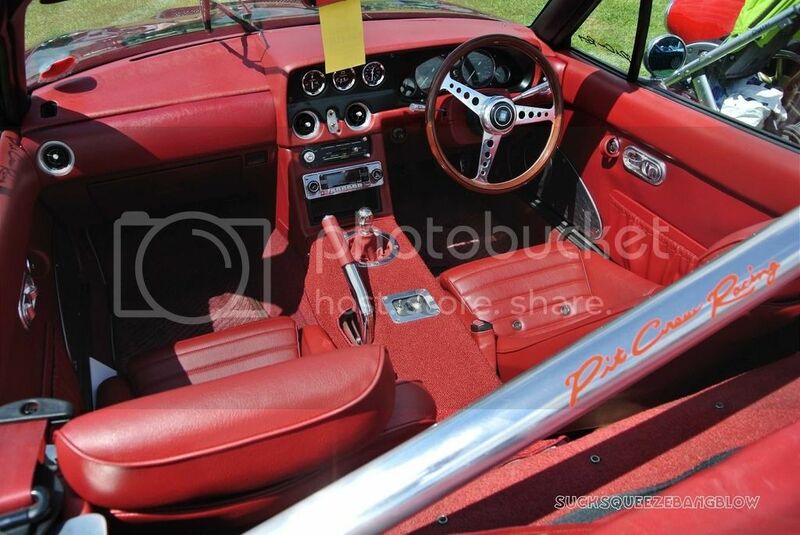 Secondly and finally Nakamae quilted side-step trim in red for my black roadster. Last edited by Madaboutmx5s; 11-08-2015 at 12:40 PM. All good stuff man. 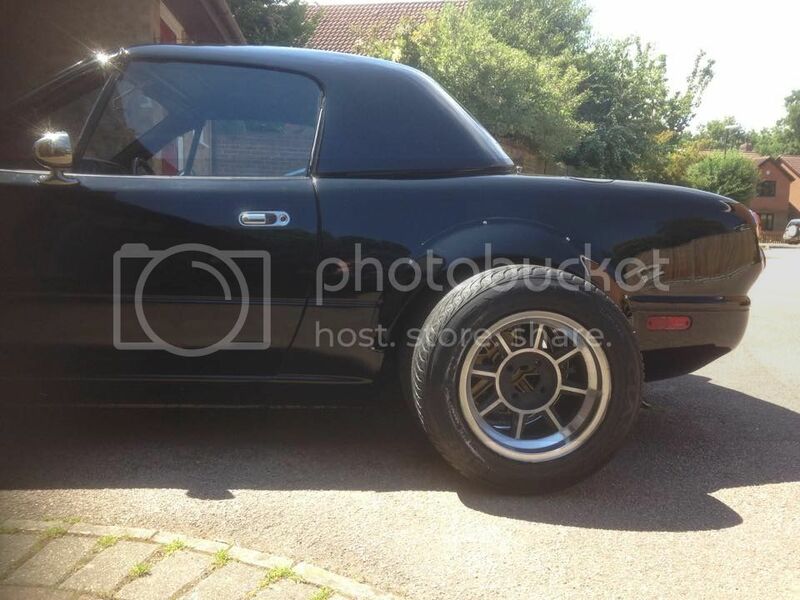 I've only got the one Miata and it's taken me more than 10 years of hard work just to get it half as modified as one of yours. You truly are mad! Never noticed the silver car had Hayashi lights before. 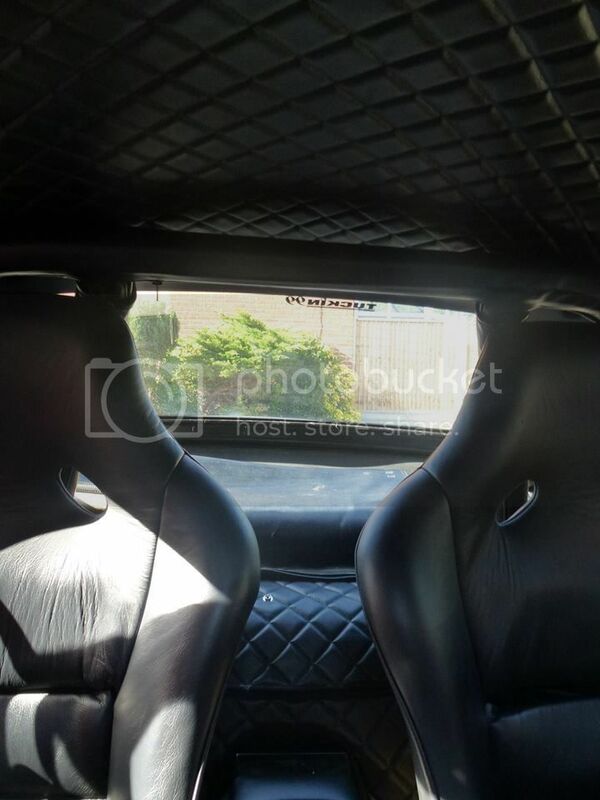 Easily my favorite fixed/lowpro setup (probably because it's the only one that I know of). Is it just me, or does the Nakamae quilted stuff always look like it has deeper stitching than others? It looks like it uses some thick foam to get that look. And it looks that much nicer for it in my opinion. 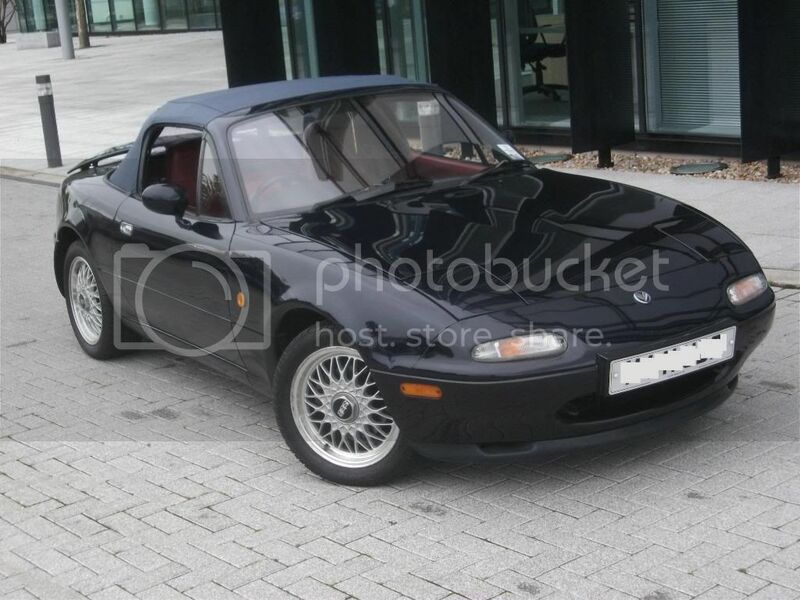 It is a bit mad my enthusiasm for mx5s. 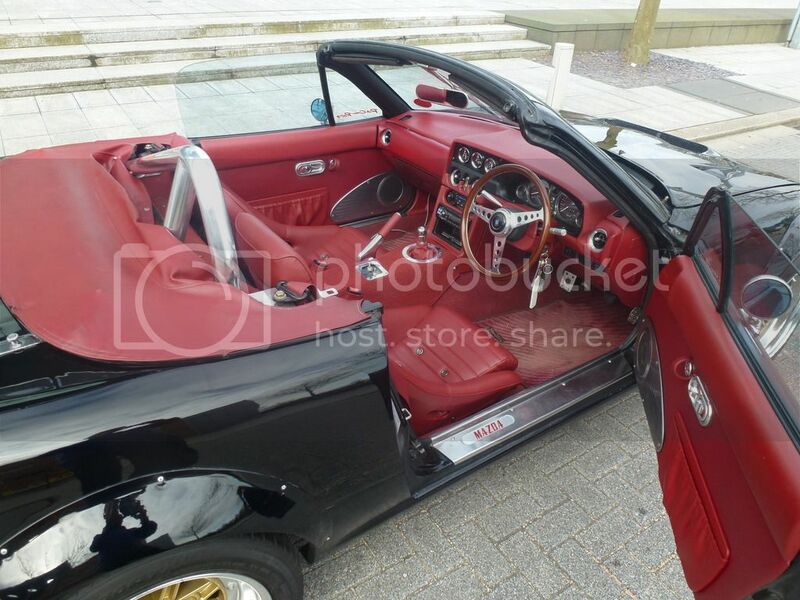 I think for a roadster enthusiast the last 15 years has favoured owners here in the UK then the US if you like some of the finer JDM parts as we did have so many imported roadsters come from Japan in the past which meant it was easier to get parts. These days that's not the case but definitely made it easier in the past. 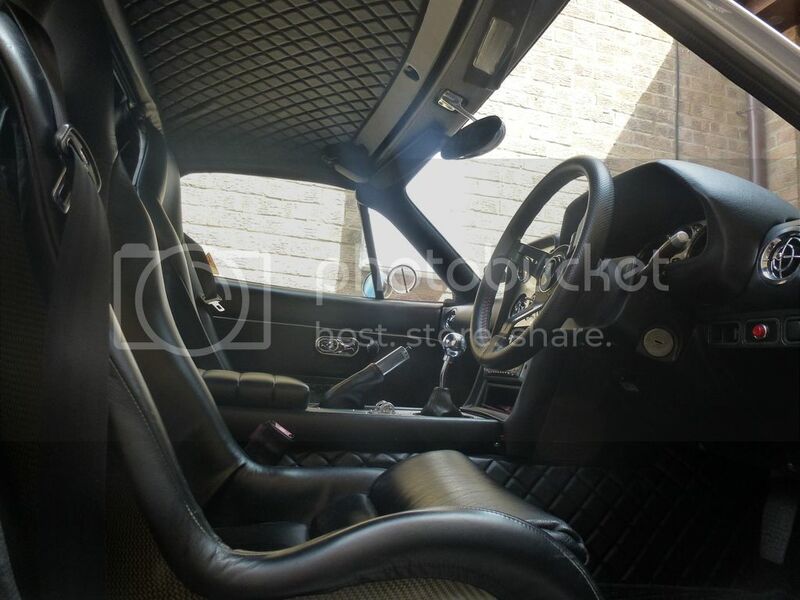 The silver roadster has benefited from the black roadster as got in the silver roadster start of this year and thought interior didn't match the standard of the black roadster. Realised it needed some changes so new parts from Zoom Engineering to complete the Zoom Engineering interior and also quite a few from Nakamae and I'm happy with the interior. Yeah they are Bodyshop Hayashi lights. I got them secondhand a few years ago from a chap in North London. They weren't cheap but cheaper then elsewhere if you can get them as I paid around us$700 for them. It's one oft favourite mods as at night they look really quite cool almost like an arcade game/scene out of Tron movie how they light up. Your right on the nakamae quilted parts and one of the reasons I've continued with it for quilted parts as the padding does appear thicker giving and more defined/deeper quilted finish.